Need a gluten-free sugar cookie recipe that can be cut out to make your favorite holiday or special occasion cookie? Look no further than this recipe. Sadly, not everyone can always enjoy the fresh, baked goodies easily available at the grocery or the recipes on Pinterest due to gluten intolerance. And when it comes to parties or bake sales, it’s not always easy to find options if you are gluten-free. However, this recipe comes to the rescue! This is the type of sugar cookie dough that holds well if you want to cut it out with cookie cutters. It also bakes well and doesn’t fall apart -as it often happens with gluten-free recipes, plus it tastes amazing! Oh, did I mention that they have that classic sugar cookie texture that we all love! Crisp and solid on the outside, soft and chewy on the inside! These are definitely a winner! gluten-free enjoy our Classic Meal Plans and substitute some of the traditional glutenous items with a gluten-free alternative. This recipe is perfect for any celebration year round. Bake a batch, and you’ll see that they are the perfect soft, chewy cookies anyone can enjoy and frost! Yields: about two dozen cookies depending on the size of cutters used. In a large bowl, cream the sugar and butter at medium speed. Add the egg, water, vanilla, salt, and cinnamon (if using). Blend until mixed well. Add the xanthan gum (if using) and flour. Mix at a low speed until well combined. Roll out the dough onto a lightly floured surface, about 1/4-inch thick. 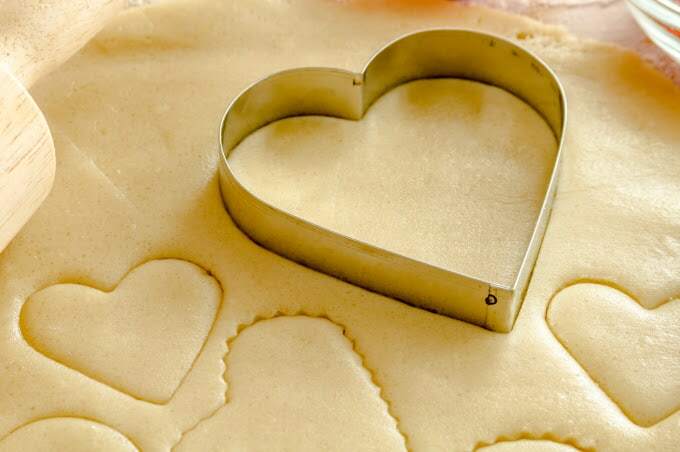 Cut out the dough with selected cookie cutters, and place the cookies on the baking sheet. Make sure the cookies are not touching. Reform and roll out the scrap dough, then continue cutting more cookies. Bake for 10 to 12 minutes. Remove from the oven, and let the cookies cool for 5 minutes on the cookie sheet before removing them to a cooling rack. Cool completely before decorating. Not all gluten-free flours are the same. I’ve listed the three all-purpose flours that I’ve made this with and that have yielded great cookies. Refrigeration is a must, otherwise, your dough will be too sticky to roll, and the cookies will spread. If you roll out your dough, and it’s too sticky to pick up, put it back in the fridge before cutting. Gluten-free flour isn’t like regular flour; it doesn’t absorb moisture like wheat. As with any gluten-free recipe, using the same flour suggested is recommended, and substitutions are highly discouraged. 12/24 Revision: I’ve reduced the amount of butter in this recipe to 1/2 cup. Reason: I used a rice + cornstarch flour mix, and the cookies were too soft. If you are using a homemade flour mix with 1/2 cup butter, you should be okay. I think it is wonderful that you are offering gluten free options. I am not gluten free myself but am baking for some of my friends. Looks like an awesome recipe, as most of yours are. 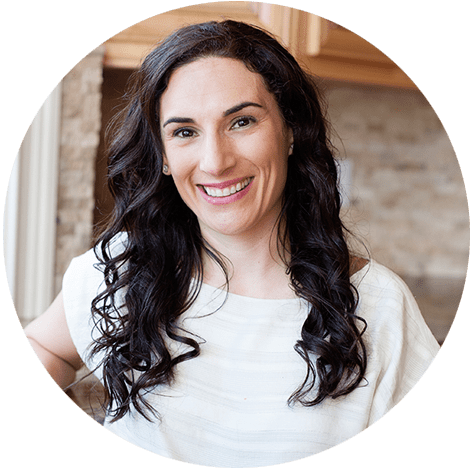 Due to Graves’ disease I cannot have dairy, gluten or egg yolks. I read the comments and will use flax eggs and of course gluten free flour. Can I use almond milk instead of cows milk? Yes you can. However, the cookies won’t be as white. enjoy! Love this recipe!! I have Celiac and use Cup 4 Cup flour. My kids and neighbors can’t tell it’s GF. Super easy to work with and tastes delicious! How long ahead do you think I can make, decorate and bag using a food saver? Thank you! Also, do you have a GF chocolate sugar cookie recipe or GF gingerbread cookie recipe? These cookies keep up to a week in food saver bags. I often make them, decorate, and freeze up to 2 months. Since my daughter became gluten intolerant I have been searching for a good sugar cookie recipe. I met my perfect match here…I made these last night for Halloween…they rolled out so nicely and taste so good! These our my family’s new “Christmas” (Any Holiday) cookie….Nummmm!! I’m so glad these went over so well Julia! Thank you for sharin! I was wondering, if there was something I could use instead of egg? Can I use applesauce? Or a different egg replacement? Use a flax egg or egg replacement. I have not tried it with applesauce. Enjoy! ???? I have 2 grand babies who have food allergies, but not gluten, so I’m NEW to gluten-free. Just started babysitting a GF child and his diet is so limited it is awful. His parents are professionals, who commute a long distance to/from work, and they aren’t comfortable in the kitchen even if they had the time. I swear the day care he was in only fed him baked chicken 5 days a week!!! The good thing is the parents are willing to reimburse me for ingredients I play with: however, we are so remote there’s not many GF choices. I have been able to find GF Bisquick 40 minutes from my home and I’m playing with that (and checking their web site). QUESTION: Does oat flour measure 1 to 1 in recipes vs using other flours? QUESTION: If subbing with corn starch vs that other powder is that 1 to 1 ratio also? (I grew up using corn starch at home so I’m comfortable using it). I’m trying to research some easy recipes that that the parents can get into cooking. Poor baby had never had GF gravey or helped make PNB cookies till this past week. He loved both by the way. Thanks in advance for any help you can give. I suggest you head over to Amazon and let Amazon deliver everything to you. I recommend Bob’s Red Mill 1:1 gluten-free flour for all your gluten-free baking. Stick to rice (it’s gluten-free!) potatoes and sweet potatoes (if using frozen they aren’t always gluten-free so from the produce is best) and protein and veggies and fruit -those are gluten-free. I’d stay away from sauces and gravies. Basic FRESH foods are what I would focus on. I have done a ton of GF baking. I found out I had celiac disease in 1996 so there was very little gf foods around then. I had to make everything from scratch. I made these with the Grandpas Kitchen flour , it is wonderful, it is made in UT. I think will be sold other places soon. It makes the most wonderful light angel food cake. I made these cookies with coconut oil, as I can’t have dairy. I used one tsp lemon flavor and 1/2 tsp vanilla. After I refrigerated them the dough was too crumbly and wouldn’t stay together so I added about 3 TB more coconut oil a little at a time so it wouldn’t be too much. It made the dough nice and soft and pliable. They came out perfect when I baked them . I did eat a bunch of the dough though so it didn’t make very many cookies. oops ha ha . Thanks , I have made many GF sugar cookies through the years and these are my favorite. I am so glad these came out well and you liked them. As you know, sometimes dough vary with the flour mix used -no doubt that Grandpas kitchen flour is great, just that gf flour mixes aren’t all the same. glad they are your favorite. ours too! What non-dairy option can I substitute for butter (would the earth balance baking sticks work)? Absolutely. Those will work for this recipe. Enjoy! I made these about a dozen times so far with Namaste Gluten Free Perfect Flour (from Costco, no less!) and it worked great. I like my cookies to brown a little so I mixed 1 tsp baking soda in with the flour and salt before adding to butter batter. I roll each one into a golfball sized ball in my hands, then rolled the ball around in a small bowl (1/4″ deep) cane sugar before pressing between 2 hands and lying flat on parchment paper to bake. Fantastic! Thanks for the recipe. I love that flour blend for cookies as well! Great recipe! I have a small home based baking business and I used this recipe for my first gluten free royal icing cutout cookies. I doubled the recipe and used a mix of 1c. coconut flour and 3c. Tapioca flour. The cookies held their shape well and puffed up a bit in the oven. When they came out of the oven, I gently pressed them flat with the back of a spatula. Be sure to do this when they’re still warm… otherwise you risk breaking them. Definitely a recipe I’ll use again. This is a great tip! Thank you for sharing my cookies with your community. Loved this recipe! We made these for Christmas and everyone loved them! So delicious! So excited to try these out! I have a few GF clients and I hope these are comparable to the gluten packed ones I already make. Made these cookies for my GF mom on Christmas. Used only 3/4 cup of sugar and substituted cinamon for zest from 1/2 grapefruit* and 1 orange. Dusted with potato start for rolling. Cookies were excellent! Mom’s happy :) Great recipe, will be baking these cookies again! Thank you! * adding grapefruit zest in my baked items makes them ‘zestier’ than if i use lemon or orange zest alone. I read all the comments, and am about to start prepping the recipe. I noticed you mentioned that you have frozen after baking. Was that before or after icing/sprinkles? I have a New Years Party, wanted to make them and ice them, and then just defrost day of, but was not sure if this would work? Your thoughts would be appreciated! Ideally, you freeze the dough prior to baking. You can freeze the cookies after baking, but I would ice them after defrosting so the icing doesn’t crack. Just wanted to say that we tried these with Bob’s Red Mill 1:1 and they turned out perfectly! We used Christmas cookie cutters and everything stayed perfectly formed for decorating! Thanks so much! I made this with a chia egg and they worked perfectly. Thank you!. Can these be rolled into a log before refrigeration then sliced instead of rolling? yes. you can make the dough ahead of time and roll later. I am STRUGGLING with the rolling! Hard, crumbly dough is what I have despite following the directions exactly. I did leave the dough in the refrigerator overnight, covered with plastic wrap. It seems like that should be ok. How did others manage this? Try dusting and hand rolling with a little extra gluten-free flour. It sounds like the dough was a little too wet. You can always hand roll between two pieces of parchment paper. I made an Einstein-like discovery this Christmas cookie making season: I took small parcels of the freshly made dough, only as much as I knew I’d want to roll out before it got too warm, and put them between two pieces of Saran wrap and rolled them out THEN, not AFTER they were cold as rocks the next a.m. Put them in the fridge overnight all stacked up and took them out one at a time. Worked great! I ALSO added the zest of a half a lemon rind, delish! I ALWAYS LEAVE OUT THE SALT, because who needs that, and I follow a low sod diet. Turned out nice and thick, not hard or flat. BEST NEW RECIPE IN MY BOOK! I always use unsalted butter, so with THIS recipe, no salt is *needed*. The lemon zest, with a fine, fine zester made them superb!!! Mine came out like that also after I had put them in the fridge. I needed to add more butter ( I used coconut oil,since I can’t have dairy) I added a little at a time till the dough was soft and pliable. Then they will roll out well. Otherwise the dough just keeps crumbling and won’t roll out. I have cooked GF since 1996 so I have made a LOT of things from scratch. Wondering if the butter could be substituted for a diary free “butter”? These cookies turned out absolutely perfect and tasted fantastic. Not too sweet for the first few bites and then a bit of sugar kicks in at the end, They rose perfectly and did not spread out much at all. I live at a higher elevation (3,200 ft) and reduced the cooking time to 8 minutes. I used an Ancient Grains flour blend and let the dough rest in the fridge overnight before rolling out. I also beat my egg before adding it with the other wet ingredients to the butter mixture. So happy I found this site and that the cookies turned out so wonderfully! Made a double batch for Christmas this year…one batch I finished, baking to decorating, about a week and a half ago and ran out of time to complete….the rest of the dough has been in the fridge (triple wrapped) until this morning when I completed cooking and decorating them. Dough once it warmed up slightly rolled out just as beautiful as the first batch. I specifically made these for my father in law with a gluten allergy however everyone I’ve given out these cookies to were surprised they were gluten free…I didn’t say anything until after they ate them including to my hubby. Excellent recipe and one I intend to make again and again regardless of if there’s an allergy involved or not as these are in my opinion just as good or better than standard sugar cookies. I was wondering if you can freeze the dough or leave it in the refrigerator for four days? Made up dough for family decorating time today but we had to cancel because of icy weather! yes you can. Have fun! Can you put white chocolate chips in these? In the dough? they won’t roll out. I’m so excited to try your cookie recipe. Do you weigh your flours or do the scoop method? Always the scoop and swoop method for a recipe like this one. Others I weigh. Is there any need for cream of tartar or baking powder? My mom’s old recipe used cream of tartar and I was curious if this would benefit the cookie at all? This recipe works best as written. Enjoy! So delicious! And so easy to roll out and cut! Thank you for this amazing recipe. My holidays are great again. Hello there, this looks like a good recipe. We are new to the gluten free world. I was wondering is ‘Cloud 9 gluten-free all purpose baking mix’ an okay flour to use for this recipe? I’ve never tried that particular kind Heidi. OMG these cookies are the best! This is the first time I tried the recipe and I can’t stop my husband from eating them! Thank you for sharing that you guys loved them Vera! Thank you . This recipe is wonderful. Everyone loves it, they can’t tell it’s GF. I did double the cinnamon, but that is because I didn’t read the recipe correctly, but is was a good error. I haven’t made it at Christmas yet, just for whenever I need a biscuit that will hold it’s shape. I will be making this over and over again. A little extra cinnamon is never a bad thing. :) I’m so glad everyone loved these! I’m new to the GF world. Can I make a royal icing for these cookies? My recipe is: powdered sugar, meringue powder OR egg whites, and water. I occasionally add almond extract for flavoring, but since I see it listed in other GF recipes, I assume I can add it. Any help would be appreciated. Thank you! The recipe worked perfectly. I used Cup4Cup flour and Almond Milk rather than water. I then added 1/4 teaspoon almond extract instead of the cinnamon. The first time I tried the recipe I did not add the Xanthem Gum because there is some in Cup4Cup, but added 1/2 the recommended amount this time. The cookies rolled perfectly. I read all of the comments before trying the recipe. I do agree that cooking until you see them turning slightly brown causes them to get very hard. I kept our cooking time to just at 10 min (even though they had not browned at all when I took them from the oven). They turned out perfectly – crispy on the outside and slightly tender on the inside. My whole family enjoyed them and we had a blast continuing out Christmas tradition of baking and decorating sugar cookies! I’m so glad you could keep up the Christmas tradition! Taking the cookies out when they’re slightly undercooked makes for a perfect cookie. Thanks, George! Cookies look great. Made dough and covered with plastic wrap in bowl in fridge overnight. We can’t have eggs or rice, so used even parts oat, tapioca, sorghum and millet. Used EnerG egg replacer, extra half tsp. Vanilla, coconut milk for the liquid, and real butter. My daughter kept eating the dough. Would have liked a crunchier cookie, but very tasty. I’m glad you found what works for you, April! You could try rolling them out thinner and cooking them for slightly longer for a crunchier cookie. I have had so many problems finding a sugar cookie recipe that tastes right and is rollable…to the point that I threw away my rolling pin 2 years ago and gave up. I decided to give your recipe a try using unsalted real butter like the recipe says (instead of margarine) and substituting orange juice for the milk/water. The dough tasted just like my mother’s “butter cookies” so I got really excited. We put the dough in the fridge to firm up and it got rock hard. I let it sit for 20 minutes and it was still rock hard so I put my rolling pin away (again) and got out the ice cream scoop to make round cookies. As I was working the dough into round cookies, I realized it was rollable and we got 27 beautiful and tasty (before the kids decorated each one with ten pounds of sugary sprinkles and icing!) cookies! Thank you so much because it worked! I made these a few days ago and they are sooooo tasty. I read thru all the commends before I started the process. I am very new to this gluten free lifestyle and there is much to be learned. Thank you to everyone for your suggestions, ideas, hints and tips. Those were so helpful! Right there I received a whole education in itself. I used the Pilsbury brand GF flour. I made sure I chilled the dough plenty before rolling out and before baking. You would never have guessed that these were gf cookies. We did the taste test with my hubby and kids and they cannot determine which is which. All in all a super success and a wonderful way to continue our cookie baking tradition around Christmas. THANK YOU! Awesome!! I made this recipe with 1/2 the xanthan and next time I’ll try no xanthan since I read the previous comment. Thanks for a great recipe! Thank you, thank you! I am (very) recently diagnosed with gluten intolerance (and awaiting celiac test results) and have been feeling a little sorry for myself. I’m an avid baker and cook and wasn’t sure how to move forward. My daughter requested Christmas cookies today, and I took the plunge with this recipe. They came out perfectly (I used C4C), and you can’t tell they are gluten free. Thank you for giving me hope that I can make tasty baked goods gluten free!! Has anyone tried freezing these? Baking today but won’t be ready to decorate until next week. Just hoping they will hold their texture after being frozen and thawed. You can freeze before or after baking. Enjoy! Don’t use Namaste all-purpose flour. They were just okay. I’ve been wanting to try cup 4 cup, but I live in a small town so I’ll have to order it online and try these again. Namaste worked great for us and I was surprised at how good they were. It was our first time to try gluten free sugar cookies and our first time using Namaste Perfect Flour Blend. We cooked at 375 for 11 minutes. I’m glad you found a brand that you like! I hope you loved the cookies, Amber! Um…..I don’t know what happened to our cookies. Words cannot describe the horror that my friend who has Celiac and I witnessed, but I will try my best. Everything was going great, the dough was the right texture and the shapes cut out easily. Then, we put the cookies in the oven, and disaster struck. First, the cookies puffed up so much that they covered the entire baking sheet. All of our little stars and sleighs merged into one devistating monster. Then, without a warning the monster cookie suddenly deflated into a extremely thin sheet of burnt dough. It was dark brown and super crispy, and about the same width as a piece of paper. So we tried again, and the exact same thing happened. We were very disappointed in the outcome of what looked like a delicious cookie. I am not sure what happened. If you “cut” the cookies then I am going to assume that the dough was chilled. Runny shapes occurs when the dough goes into the oven too warm. Sorry this didn’t turn out for you. I’m so sorry!! I use KAF all purpose baking flour for this recipe all the time. It does not have gums. Although, I’ve also used Bob’s red mill 1:1 gf and it does have gums for this recipe. I have not tried the new one from KAF. so sorry! Hi~Thank you for sharing this great sugar cookie recipe! This is our first gluten free Christmas with our 15 year old son who was diagnosed with Celiac disease in May. This recipe helped make our first family gathering of the season more “normal” for him. The cookies were a hit with everyone and they tasted like a regular cookie. Had great success with “Pamela’s All Purpose Artisan Blend Flour” too. We chilled the dough in the freezer for about 30 minutes since we started late in the evening and needed them to be baked/decorated for early morning. Tip for newbies like me: I have found that gluten free cookies do not brown until overcooked so take them out at 10-12 minutes even if they look a bit under cooked. They firm up as they cool and look perfect with a simple powdered sugar frosting glaze (powdered sugar, tiny bit of vanilla extract and water added until desired consistency & then make colors). My daughter piped thicker frosting on all of them and they looked really cute! This frosting gets hard so you can easily stack them between wax paper layers for transportation or on a platter for a buffet. Merry Christmas to all and Happy 2016! Thanks for those tips, Julie! I’m glad your son could join in on the Christmas cookie fun this year. Merry Christmas to you! I have been missing good sugar xmas cookies for 2 years now, no recipe seems to be right. My kids and i made these tonight they were awesome. I am the only gf in the house, but everyone said they tasted great couldnt even tell they were gf. I shared the recipe on fb and with friends. Thank you so much for sharing this recipe. Was a little sticky when rolling out sprinkling with gf flour and perfect. I used cup 4 cup . Hi – I’m excited to find this recipe! My son is allergic to dairy, egg, wheat and a lot of other things. Can I sub in King Arthur Flour Baking Mix and omit xanthum gum? And can you tell me what egg and butter substitutes you’d recommend? thank you so much. I make these successfully with KAF baking mix. 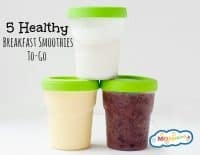 I have not tried them without egg but dairy is easy to substitute with a dairy free alternative. Sorry! Perfect for Halloween cookies. I cut the, into the shape of pumpkins and added buttercream frosting with a hint of pumpkin spice.Delicious! Hi My daughter is gluten, dairy and egg free. Will these work with Earth Balance butter and applesauce in place of the egg? I’ve made dairy and egg free sugar cookies with them before and never had a problem but haven’t done it with gf flour. Elisha, this recipe will work with a flax egg instead of the regular egg. Applesauce came out too runny of a dough. I keep tapioca flour on hand to use for dusting the board while rolling out cookies and pies. And I use hardly any gums in my four mix, with some cream of tarter, and 1/3 confectioners/powdered sugar in place of all regular granulated sugar, and a dab of honey for flavor. Instead of spices, I use vanilla and almond flavorings. Yes, definitely use a “gum” free flour and try a mix 50/50 cream of tartar and baking powder. THANK YOU for sharing this recipe. I was diagnosed Celiac in March and am going to dedicate summer to finding great recipes so we can continue our tradition of baking cookies at Christmas time. I used cup for cup as I prefer this flour. I did omit the cinnamon. These turned out perfect! One would have no idea that they’re gluten free! Cup4Cup and KAF are my go-to for baking. Glad you enjoyed this recipe! I made these today with my children. We followed the recipe exactly, using Jules Gluten Free All-Purpose Flour. They are absolutely the best GF sugar cookies I’ve made! I’ve had to have my husband hide them from the kiddos and myself because we just can’t get enough. We used Christmas cookie cutter shapes and spaced them far apart and they all retained their shapes – no blobs for us. I mixed a little powdered sugar with the flour that we used to roll out the dough and it helped make the outside of the cookie taste perfectly sweet. Thank you for this recipe. I’ll definitely be using again! I”m so glad it was a success and everyone loved them! Hi! I’m about to make these cookies and I have a question before I start. I see you have reduced the butter to 1/2 cup because you were using a GF flour that had cornstarch. I am using a GF flour blend that does not have cornstarch, it’s superfine rice flour, potato starch and tapioca. How much butter should I use? Thank you!! Your flour mix has a starch: potato. The recipe should work just as well. Enjoy! Just to clarify, should I use 1/2 cup butter if using GF King Arthur flour? Yes, 1/2 cup butter should be the right amount! Mine are not perfectly fat because I did not flatten them perfectly. Good luck with planning the shower! Oh perfect so if i flattened the dough before putting them in the oven they should turn out? So excited to try them! I recently went GF and you can definitely NOT tell that these are GF. Some of the GF cookies you can buy in store are just awful but these are awesome. I used 1 tsp of vanilla extract and 1/2 tsp of almond extract and the flavor was amazing. Definitely a big hit at the office. I also made a batch into adorable shark cookies for a friend. I was so worried about the shapes spreading so after I cut out the sharks, I put them on the baking sheet and chilled the whole thing in the fridge for about 20 minutes. Worked like a charm! Also, for those wondering about GF flour, I picked some up at Trader Joes and had no problems! Thank you for the tip on helping sugar cookies to hold their shape when using cookie cutters. I am going to try this! A piece of advice–DONT USE Bob’s Red Mill all purpose flour. The garbanzo bean flour that’s in it has a really strong flavour that totally overpowers the cookies. I used King Arthur Flour and they tasted fantastic, but that Bob’s Red Mill flour totally ruined it. you are right… but the cream cheese definitely masks a lot! your way sounds delicious. Teodora, I made these last week for my kids’ classroom party where they decorated them with all sorts of icing. They worked perfectly. Great recipe! Very moist, soft and chewy! I experimented by using Bob’s Red Mill (I usually mix up by own blends but was in a hurry). I also added cream cheese in place of half the butter just to see what that did. I’ve noticed putting something thick and moist like cream cheese, canned pumkin, etc, really helps GF foods taste better/be moister. It worked although using all butter would have been fine too. I didn’t add any extra flour..actually maybe a little less (I go by weight and it felt heavy enough…Bob’s AP flour is heavier than rice blends.) As I was in a hurry I popped the dough in the freezer for maybe 30 mins or less and rolled/cut out half the dough. The dough was thick and a little tough, but not too sticky or hard to work with. I just flattened with my hands (not too thin) because it did stick to the rolling pin. I put the 2nd half of the batch in the fridge for later and shaped/baked them a couple hours later. Again no problems..even better. One note: if you aren’t use to bean flours you might taste it. I ran out of sugar and only had 3/4 cup so they bean flour taste came through a little. I rolled the 2nd batch in sugar after buying more, and that helped, but one of my kids wouldn’t eat them. Will try again with other flour blends soon! so glad this worked for you! and great idea on using cream cheese! These were delicious! My 10 year-old made them by herself, and they turned out perfectly. My son who can usually tell if something is gluten free had no idea! We used Namaste flour and refrigerated the dough overnight. We are making these this weekend. Did you use additional xanthan gum with the Namaste flour? I made this recipe and had no issues whatsoever. 2 important things- you MUST liberally flour your surface when rolling out the dough. And FREEZE the dough- I did this before and after I cut out the shapes. I found a GF flour mix called Auntie’s Flour Blend, and will never use anything else again. It’s a cup for cup substitution, and made for a great texture in my sugar cookies. I live in Australia and would love to know what brand of GF Flour you would recommend using? I’ve been searching like mad for a GF sugar cookie recipe to make for Christmas. this recipe works with most all-purpose gluten-free flours that tend to be rice + starch based. I’m looking to bake some gluten free sugar cookies for my class and these sound great, I bought the robin hood gluten free nutri flour blend and was wondering if anyone else has tried it and how well it worked for you? Hi. Can these be baked and frozen to decorate later? I want to make the cookies and have my granddaughter decorate them when she comes to visit in two weeks. Thanks! I freeze them all the time both pre-baked and after I bake them. I just finished baking these! I used KIng Arthur gluten free multi purpose flour and added xanthum gum. I refrigerated the dough for two hours and when rolling the cookies I only took a small amount out of fridge at a time. After cutting out the shapes I put the cookie sheet in fridge for a few minutes before baking. They kept their shapes. I did notice the texture to be a bit gritty, but they taste good and will be fun to decorate next week with frostings and sprinkles. I’ll put them in freezer until then. I’ll let you know how they turn out! Any one else with this gritty dry dough? I am afraid to bake them! I DID NOT see the notes wrote down below the complete recipe, so I only used 1/2 cup butter. Now, I just seen the note and I am wondering if I can incorporate another 1/2 cup butter somehow? ANYONE PLEASE ??? Thank you! Even if too late, please send any advice on what glutenfree flours, non-dairy butters, etc…. I used King Arthur Glutenfree All Purpose Flour and Ghee for my non-dairy butter, and just plain cane sugar. Followed RECIPE AS WRITTEN! Not knowing about the notes…oops! Amy, KAF works fine with this recipe. I made sure to make a list of all the flours we’ve used to test this recipe and it comes out great. One of the reasons your dough came out crumbly is because Ghee does not act as “softened butter”. Ghee is either liquid or solid and won’t bind the same. For a dairy free alternative you’ll have to use a vegetable based spread. Try taking the dough at room temperature (so it’s softer) and add a tablespoon of water to bind it. In the future, please read the entire recipe (including notes) before you get started. It helps your outcome tremendously. Good luck! I made a dairy free variation with Earth Balance vegan butter sticks and soy milk. (I know you said no subbing, but it worked for me!) I also used the Pilsbury Best Gluten Free Flour mix with xantham gum already in the mix. And to be honest. I only chilled it 40 minutes. I thought I would go the rest of my life without sugar cookies on such a strict diet. I am so excited because I have so many kids that I teach who are also on a gluten free diet. I am definitely sharing this recipe! Mine turned out great. I used little violin shaped cookie cutter, too! This may sound like a silly question but is it okay to leave the dough in the fridge overnight? I made these with my 3 year old (heart shaped) for Valentine’s Day. I used Bob’s Red Mill GF AP Flour & had to add a little more flour to get the right consistency, but once that was done, they were great! They were a big hit with my GF and non-GF friends alike! I will be saving this recipe & using often! Thank you! thanks for giving feedback on the one that you used and how you had to add a little more! this is helpful to others since not all gf flours are made equally. I also used Bob’s Red Mill GF AP for my first ever gluten free sugar cookies an they were great! A little extra flour and a little more like 2 hours in the refrigerator. They were perfect hearts! They were a little tricky to get off the cookie sheet so I will be trying parchment paper next time. Great recipe! Thank you so much! I forgot the stars!! Sorry. 5 stars for sure! I plan on using Bob’s Red Mill AP GF flour. About how much more needs added for them to turn out right? I noticed this recipe does not have any baking soda or cream of tartar, does the gf flour mixes you use have something like that in them or do they not need either of those things? yes, the GF flour mixes have Xantham gum. the recipe as shown works amazing. just made some today! I love these cookies! We made ours using the all-purpose mix we got from The Bloomfield Farms, chilled the dough for an hour or so and it was perfect! They held their shape very well and tasted great too. Thanks!! 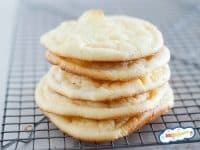 Has anyone made these sugar cookies using Namaste Perfect Flour Blend? It’s all I have in the house… Thanks! you should be fine, just make sure that you chill the dough. I’ve made these a couple times with the Namaste Flour blend (we need to avoid anything with potato), and they worked great. I’ve been experimenting with several GF cut out cookie recipes and this is my favorite so far. They do spread out a bit, so you don’t get a super sharp shape, but that’s not such a big deal, and they have a good texture and taste. I have been trying different cut out cookie recipes and my searching is over!! 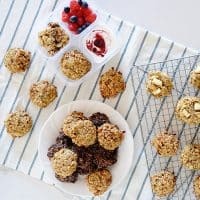 I love this recipe and the cookies turn out amazing! Thank you! thank you so much for letting us know this came out great for you Jennie! I can’t wait to try this recipe. I’m not a baker, but have been gluten free for long enough to know how much I miss cookies. People Remember Gluten free Anything is tricky. I have read all the posts and am excited to try. Thank you for all the tips and suggestions. One question: xmas gift was a cookie press – instead of rolling out the dough can I just cheat and use the press? I’ve never tried it with a press…. but i don’t see why not. the dough performs as any sugar cookie dough. I live in Australia where the recommended flours are not sold. I had to add quite a bit more flour to the recipe to get the proper consistency. It probably depends on what mix you’re using. I didn’t measure, just kept sprinkling more and mixing til I got the right consistency. I’d guess I added at least 1/2 cup more. the cookies tasted good, but were pretty heavy due to the extra flour. After some research, I discovered that all 3 recommended flours for this recipe contain potato starch. That must be the key! Made these last night with King Arthur GF flour blend and they turned out great. I omitted the cinnamon since I wanted a more true sugar cookie flavor. I found that it needed slightly more flour than the recipe stated… I used about a quarter cup more. They took quite a bit longer to bake, probably because I was using Pampered Chef baking stones and parchment paper. The first batch took about 18 minutes, the others were quicker. I frosted them with Pillsbury creamy frosting and they taste even better the next day. Moist and delicious! were any substitutions made Jessica? did you chill the dough? I was so excited to to make these. I followerd the recipe exact and spent all the time rolling out the dough and using cookie cutters. They are in the oven right now and have spread out so much and turned into blobs- many have run together making a giant cookie. I just now read some comments and see other people have had the same problem. Just wanted to let you know. leah, did you chill your dough long enough? I realize others are having the same issue, but it also comes out perfect for many including myself. I highly recommend placing your cookie sheet with cut cookies in the freezer for about 10 minutes before baking. This almost always helps them hold their shape. These did not turn out. They did not hold their shape despite following the recipe and refrigerating the dough. Brenda, i’m sorry they didn’t come out for you. the comment above you came out perfect (as they do for us). Can you tell me if you made any substitutions? I made thes today using better batter gluten free flour and they came out perfect! Thanks for the recipe. I’ll be making them with my children for years to come. These cookies came out beautifully when I baked them yesterday with my granddaughter. They kept their shape and did not meld together with the other cookies when baked. Skipped the xantham gum as it was “optional”, and used Red Mill gluten free flour. FYI, Red Mill does not have cornstarch for anyone who is concerned about GMO’s. I lined the baking sheets with parchment paper. This may have helped the “spreading” issue mentioned by other bakers. Will definitely use this recipe again. Will the recipe turn out better using xantham gum? I have all the ingredients but that. Where do I buy it? Thanks! Christine, if a recipe calls for Xantham gum it’s necessary. If you omit it, I can’t guarantee how your cookies will come out. That said, it really depends on the GF flour you use. most mixes have xantham gum in it so you need to check the ingredients. if it doesn’t, you need to add it in. you can get xantham gum in the baking section of some groceries where the gluten free flours are stored. Otherwise, check your natural grocer (like whole foods). Ok, thanks! I got some yesterday, so I’m going to try them today. I have a gluten free guest coming for dinner :) I’ll let you know how they turn out! Gluten free cookies are really particular about the flour composition. If you don’t have it just right for the recipe, they will spread out like crazy and be super thin and impossible to remove from the pan decent (gluten free flours don’t absorb/adsorb the butter the same as gluten flours). I have a chocolate chip cookie recipe that comes out beautiful – it uses 5 cups of flour (and I use 3 cups white rice (bobs red mill stone ground) and 2 cups sweet rice). I might try these using that ratio and see how they come out, but I have tried and tried many GF cookie recipes over the years and have had most of them do not turn out quite right, but it usually has to do with using exactly the SAME flour mix that the person who wrote the recipe. I love the taste of these cookies but they didn’t hold their shape at all! I cut them into shapes and they all ended up as blobs. They didn’t run into each other as I spaced them far apart but all the edges softened so much that you can hardly tell what they are. Fortunately they are just for us, so the kids won’t care. :) I used a mix of GF flour substitute and rice flour. It was almost like the recipe calls for too much butter? 1) Rolling the dough too thin. I know that if I roll the dough out too thin and cut it, they will spread when baking. Make sure you are keeping it thick enough to hold its shape. 2) Make sure when you are making the batter, your butter is softened (as called for) not melted. There is a big difference in baking and the outcome you’ll achieve. 3) Making sure your dough chills long enough in the fridge. This is also true when rolling out the dough and cutting. If it sits out too long and is over worked during that process, then again, it will spread and not hold its shape. After chilling, you may want to break off half the dough and roll it out and cut half at a time. Hope this helps!! Happy Holidays! These seem more like snickerdoodles since they have cinnamon in them. If I just omit the cinnamon will it still taste good or should I add more sugar? i use these the same way i would use sugar cookies. I like a little cinnamon in my cookies…but if you don’t… you can omit and leave recipe as is. What gluten-free flour did you use? Most often, I use Pamela’s, but I am so sick of everything being sticky. I also don’t want to have any “blob” or “melting” issues. I love cup4cup and KAF. Made the recipe exact. Had to refrigerate as too sticky. Rolled and cut, put in oven at 350 and everything melted into one cookie. Help! the recipe says to refrigerate -that eliminates the “sticky” problem. Although I enjoyed the taste of these cookies, when I baked them they spread into big blobs no shape would stay in place, no matter what I tried. Any suggestions? Hello, my son had an egg allergy. What would be the best substitute for this recipe? Thank you! I have not tried making these with an egg replacer or a flax egg. Please let me know if you do achieve success! Just found this on Pinterest. They are baking in the oven now getting ready for our Christmas Eve meal with a “gluten-free guest” in mind. I used the Red Mills flour. A tad sticky when rolling out but otherwise SO GREAT! Thank You and Merry Christmas. Thank you Brttany! So nice of you to accommodate for your guest! Merry Christmas! the sugar cookies look great but do you have a dairy and egg free recipe for the gluten free sugar cookies? Hi mandy! We are testing a couple of recipes that should be ready just in time for Valentine’s day. If you are subscribed to our newsletter or follow us on FB you’ll be one of the first to know! I just made these sugar cookies using King Arthur flour and no xantham gum because I did not have any on hand. I chilled the dough for six hours. I cut just a little dough at a time and put the bowl back in the refrigerator. When I rolled out the dough, I rolled the dough first in flour and rolled the dough quite thin with a rolling pin covered in flour. Then I used my heart shaped cookie cutter. Before I put them in the oven, I sprinkled them with red sugar, then baked them. They turned out perfect. My granddaughter will be thrilled, and my husband loves them, too. Great recipe. thanks for letting others know what you used and that it was successful!